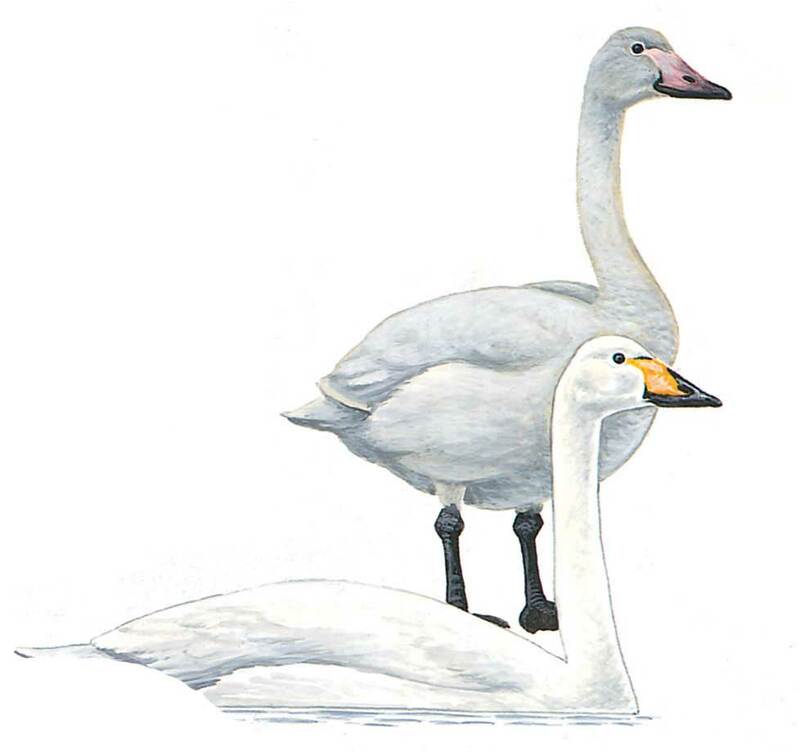 Large swan with a long neck, flattened forehead and bi-coloured bill. Bill black with yellow base extending in a wedge usually to below nostril or beyond.Walks well. Silent in flight, with powerful wingbeats with a flattened head profile.